You have a trio for game night, but you don’t know what should you play? Three is a tricky number. It’s a small and intimate group, but it’s hard to adapt some two-player games to include a third, and you don’t want to end up ganging up on one person in particular in an unbalanced game. Below are 7 games designed to play perfectly for a power trio. 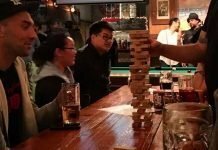 We include some classic bar games, like darts and pool, along with a few new board games and card games that will give you some new options to try out. 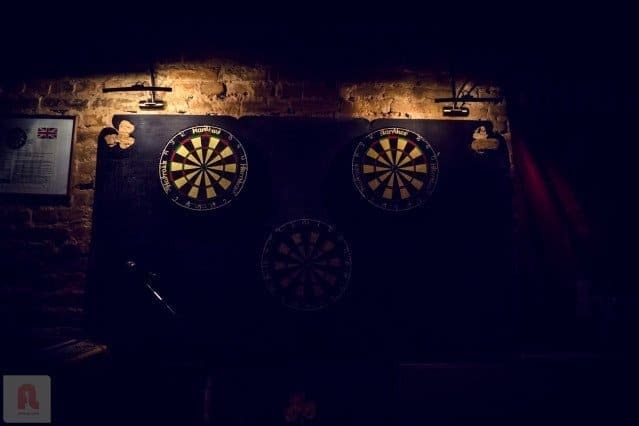 The darts game Cricket is an easy go-to game and nearly perfect for three players. Cricket is scored by throwing at the numbers fifteen through twenty on the board and also the Bull’s-eye, with the objective being to “close” out that number by hitting the same spot three times and then score points with subsequent strikes before your opponents can do the same. 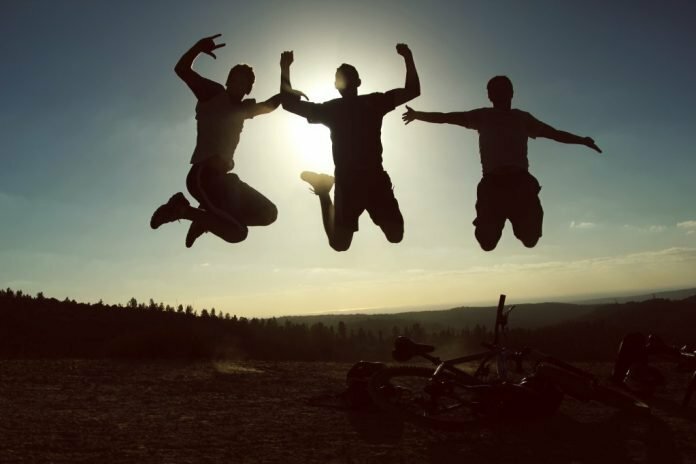 What’s quite appealing about Cricket for three players is the balance between turns of throwing darts and time off to take a drink or be social with the other player not throwing. 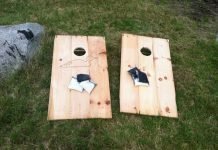 You’re not just waiting for the other player to be done so you can throw, like in a two-player game, and the wait isn’t so long that you lose track of whose turn it is to throw. Cricket is simple, balanced, and fun. 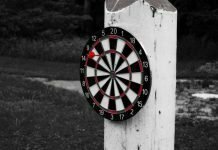 You can find a more in depth look at dart games here! 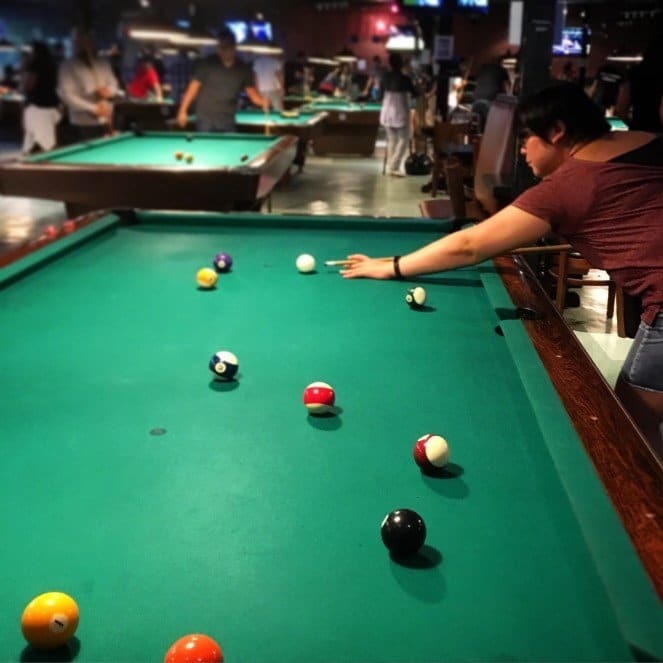 If you’re out at the bar or over a friend’s house with a pool table, cutthroat pool is a great game for three players. Basically, you each get assigned a group of balls (15; 6-10; and 11-15). You then try to sink your opponents’ balls before they get yours. The last one left on the table wins. 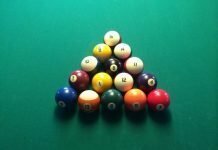 Check out this post for a complete guide on how to play cutthroat pool. The “shufflebuilder” card game Smash Up has a basic premise: take two ideas and smash them together to create something new, and that new thing is going to be awesome. In Smash Up, you take control of two factions, smash them up into one amazing team, and then compete against the other players to destroy bases and build power. 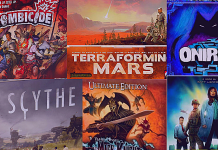 Your choices of factions to begin with are Aliens, Dinosaurs, Pirates, Ninjas, Wizards, Robots, Tricksters, and Zombies, and the combination of these factions make for very different and fun games (Alien-Dinosaurs? Ninja-Robots? Pirate-Zombies? All good choices). Obviously the fun is in the Faction combos, but this is a quick game of action and hand management that will entertain and challenge beginners and card game veterans alike, plus there are more expansions offering many additional factions out there. The board game Suburbia is about building and city-planning, perfect for any SimCity fans out there. Each player designs and builds their own perfect cityscape, with the player with the highest population at the end winning the game. Suburbia is both straightforward and moderately complex, each turn players get to buy the hexagonal building tiles to form their city, but their placement determines your city’s income, reputation, and population. The game has a ton of different options and building tiles, so no two games will ever be played alike. 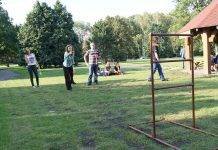 Also, while the game is competitive in seeing who will be the winner at the end, it’s more of a spirited contest than aggressive challenge between the opponents. With the right crowd, this game is complex and fun enough to entertain for a night, but other groups might find the math and book-keeping tedious on a turn by turn basis. 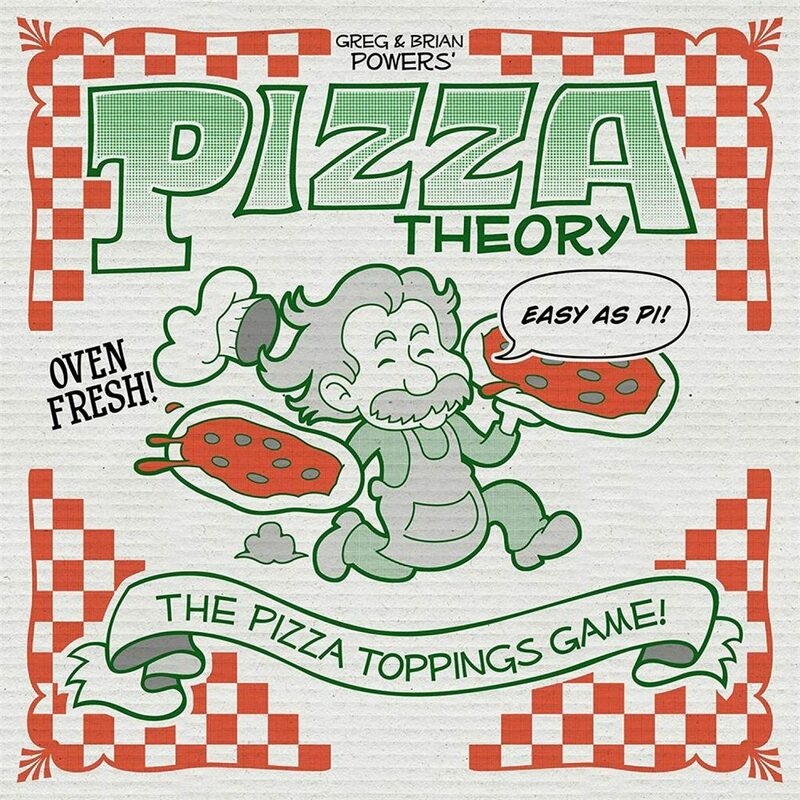 Pizza Theory is a cute novelty game designed specifically for three players. The game board is a circular pizza and players compete to get the most of their color toppings on to the pie. The catch is how to slice it, as each round the players place toppings and then secretly decide where they are “slicing” the pie with their thin wooden sticks, which determines scoring. Then you rotate the pie and go again. The player who can place all of their toppings on the pie wins! Pizza Theory isn’t complicated, a single game can take 10 minutes, but it is certainly a fun and delicious-looking game to play. Ticket to Ride, now considered a classic, is a fantastic way to spend a game night with three players. In a race to be the most successful train-baron of North America, the object of the game is to collect the most points by placing train cars on routes, completing destination cards to connect cities, and by having the longest continuous train on the board. Ticket to Ride is easy to learn and simple in its execution, but the fun and tension builds in the game through racing against your competitors to complete your routes. The board is big, too big to be competitive with just two players, but hits that competitive sweet-spot where you can stretch across the whole board and still get in each other’s way with three players. Ticket to Ride, now fifteen years old, also proves its worth through ease in learning how to play combined with a depth of strategy that makes each game as exciting and complicated as the last. Related: The best single player board games. This silly game portrays the players as the worst pirates on a ship and their captain has decided he can only keep two of you. The fun and zany part of this game, besides the fun art, is that players decide their actions secretly from a deck of action cards, the reveal the actions three at a time not knowing what the other pirates have done. This creates fun scenarios where players are pushing and shoving each other along the plank, adding extensions to the plank, taking away pieces of the plank, or even tossing yourself overboard! It’s a bunch of random fun that’s colorful and cheeky, which will be fun for everyone involved.